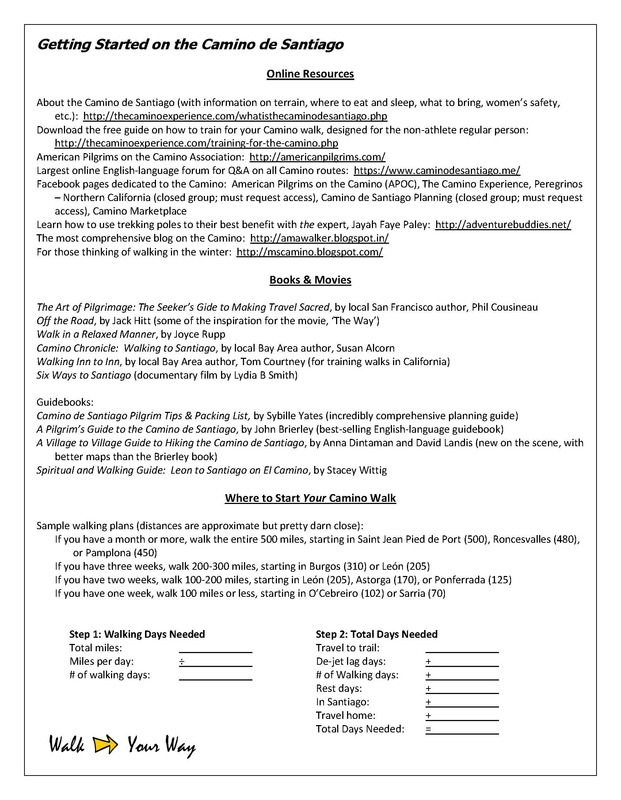 This month, REI in the Bay Area offers seminars about walking the Camino de Santiago pilgrimage in Spain from experienced walker and Camino Guide, Nancy Reynolds. The book, Spiritual and Walking Guide, is featured in her list of resources. “You will get a sense of the challenges and rewards of walking this ancient path, plus practical information for planning your own pilgrimage. Whether you are looking for adventure, a fitness challenge, or a spiritual pilgrimage, you will learn enough to know if the Camino de Santiago is the walk for you. You will also get some expert tips and tricks for getting the most from your Camino experience, whether you will walk for a week, or plan to take every step along the 500-mile path,” states the REI website. 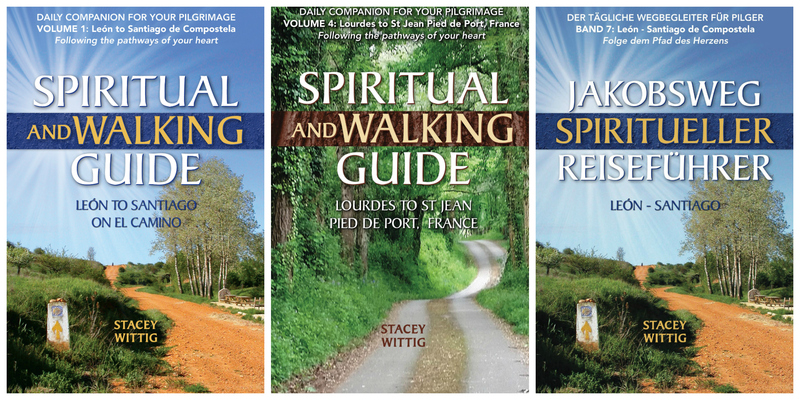 Nancy Reynolds, Camino hiking expert and owner of The Camino Experience recommends the Camino devotional “Spiritual & Walking Guide: Leon to Santiago” by Stacey Wittig as a guidebook in the Resource Guide that she hands out at the REI lecture.